Perhaps my most favorite winter find this season is this faux fur robe from Pottery Barn. I’ve seen it on Instagram for the past few years and had to have it. Retailing at $129 USD, this robe is definitely on the higher price point end. But since this fur robe is a classic, it is well worth the investment. I also discovered more affordable options if you scroll down below. 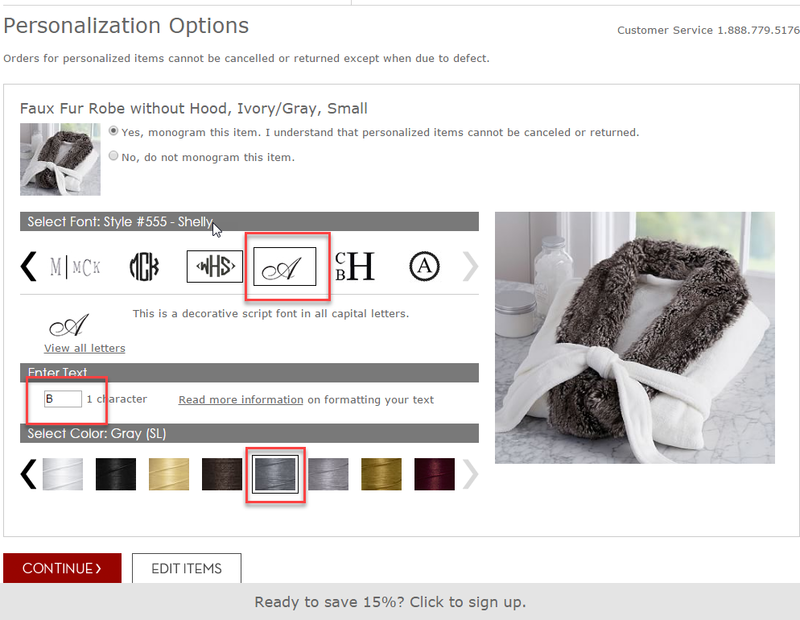 There is also the option to personalize your robe with the standard monogram options at Pottery Barn. I absolutely love how my initial “B” looks when monogrammed. At a price point of $129, adding a monogram for a few bucks seems like a steal. In case you were curious, this is what I chose for my monogram options. 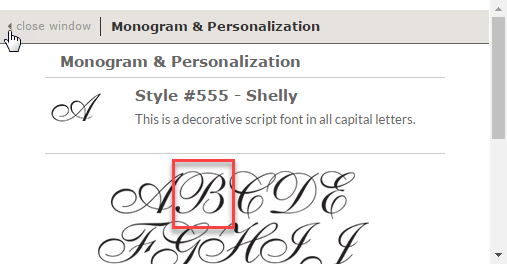 When I ordered my robe, I chose “Style #555 – Shelly” for the font. This font style may have changed to “Piranesi – Style 55”. I also chose the grey thread to match the grey ombre fur. There might be multiple shades of grey now and I suggest something not too dark and not too light. I believe you can also use certain discount codes to knock down the price of this robe, which came in handy for me as I actually had to pay another $30 for my tailor to take up the sleeves. It was well worth the investment though, otherwise, I would never wear it! These do tend to sell out during the holidays, so I highly suggest investing in one before the smaller sizes run out. I also purchased the matching bootie slippers. They are so cozy, but I am crazy fearful of getting them dirty. I might wear them only on my white rug to prevent any dirt. Oh and good news! The robe is machine washable! And the slippers are spot clean! I also have this fur throw from Pottery Barn in grey ombre (which matches my robe) as well as this cream oversized one from Restoration Hardware (which comes in handy for photographing flatlays). Stay warm this winter, my friends!